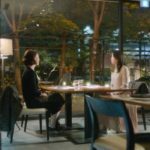 Lee Dae-chan (Kim Joo-hun) asks Jang Mi-jin (Kwak Sun-young) over dinner here is she would accept to date him in episode 12 of Encounter/Boyfriend (남자친구) (tvN, 2018-19) and she accepts even though she is later embarrassed by his car. 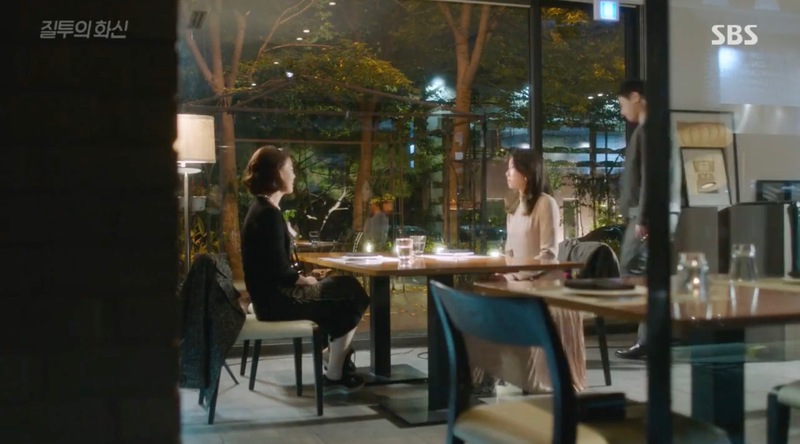 Eun Chae-A (Hwang Seung-Un) brings her ‘friend’ Shin Min-Seok (Kim Joon-Han) here to a lunch business dinner with a friend of her dad in episode 12 of Time (시간) (MBC, 2018). When leaving, she hands Min-Seok a gift in a box that looks like it is a watch but in fact it holds his blood tainted necktie as he finds out later. Choi Seo-hyun (Lee Da-in) and her father Choi Jae-sung (Jeon No-min) have a heart to heart talk here in episode 50 of My Golden Life (황금빛 내 인생) (KBS2, 2017-18). 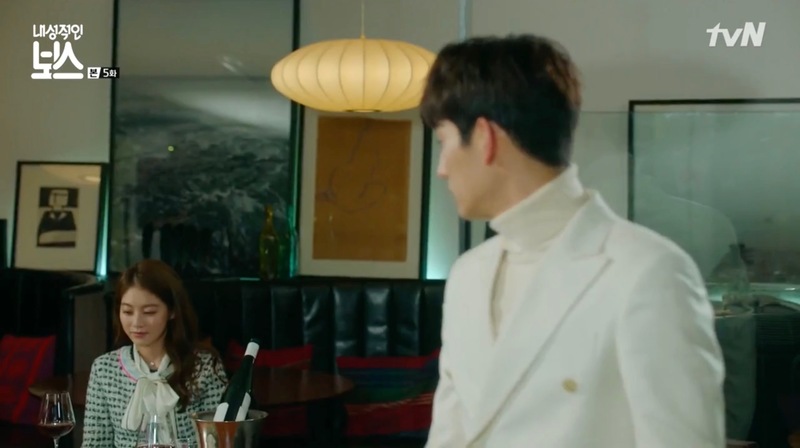 In Introverted Boss/My Shy Boss/Sensitive Boss (내성적인 보스) (tvN, 2017), Kang Woo-il (Yoon Park) meets for dinner here with his fiancée Eun Yi-soo (Gong Seung-yeon) on Christmas Eve in episode 5 – even if he doesn’t stay long. 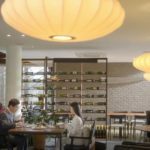 Lee Hwa-shin (Cho Jung-seok) and his mother go to eat here in episode 18 of Jealousy Incarnate (질투의 화신) (SBS, 2016) – unknowing that Pyo Na-ri (Gong Hyo-jin) is also there having lunch with Ko Jung-Won (Go Kyung-pyo) and his mother Kim Tae-ra (Choi Hwa-jung), which becomes quite awkward once everyone (except the two mothers) realizes the situation. 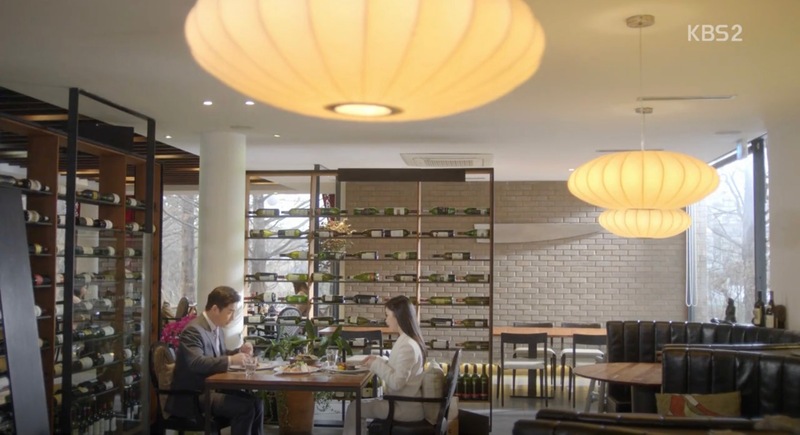 Lee Sang-tae (Ahn Jae-wook) and Ahn Mi-jung (So Yu-jin) go also eat here in episode 33 of Five Children/Five Enough (아이가 다섯) (KBS2, 2016). 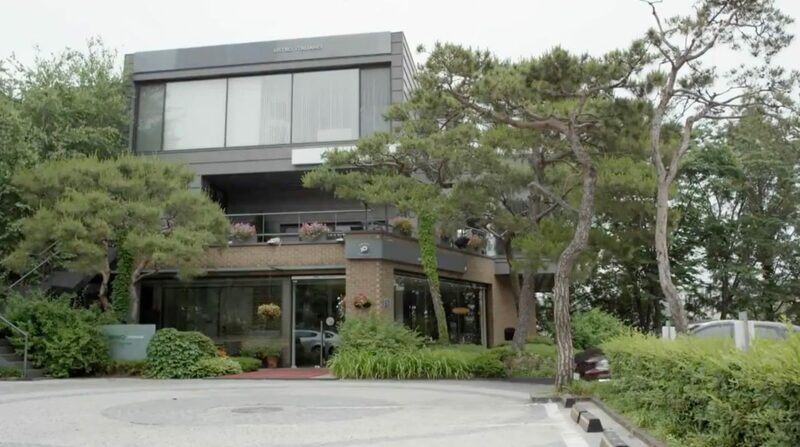 This is where Yong Tae-mu (Lee Tae-sung), Yong Tae-yong (Park Yoo-chun) and Park-ha (Han Ji-min) meet up in Rooftop Prince/Attic Prince (옥탑방 왕세자) (SBS, 2012). Also, Kim Do-jin (Jang Dong-gun), Seo Yi-soo (Kim Ha-neul) and Colin (Lee Jong-hyun) meet up here in A Gentleman’s Dignity (신사의 품격) (SBS, 2012). Also seen in: Here Comes Love (사랑이 오네요) (SBS, 2016, episode 2); Beautiful Gong Shim (미녀 공심이) (SBS, 2016, episode 10); Yoo Na’s Street [유나의 거리] (JTBC, 2014); Just Like Today [오늘만 같아라] (MBC, 2011, episode 12). 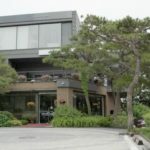 Pino Bistro Italiano [피노 이탈리안 레스토랑] is located in Goyang’s neighborhood Pungsan [Pungsan-dong/풍산동] in the Ilsandong District [Ilsandong-gu/일산동구]. This Italian restaurant is a K-Dramaland staple.